While the information in this pack can be useful at all stake levels, the intended skill range of this pack is from the $1 to around the $100 levels. Most of the analysis is done on games at the $30 - $60 levels. Greenbast is a well respected mid stakes turbo speed HUSNG regular. His free videos have reached thousands of players and received excellent feedback. How to adjust at different stack depths. How to think in terms of ranges. How to take advantage of common husng leaks. The following are the 8 videos contained in the pack with a free clip below each explanation. Greenbast overviews some fundamentals of turbo husngs. Included is basic principals of bankroll management, multitabling considerations, expected ROI and an outline of the software tools which are used throughout the pack. This video explains the key concepts of playing deep stacked (50-75bb) while in position (IP). Developing proper preflop raising ranges, ranges vs calling 3bets and ranges for 4bets are the core of this video. This video focuses on the often difficult task of playing deep stacked out of position (OOP). Greenbast covers developing proper 3bet ranges vs different opponent types and developing correct calling ranges. Excellent midstack play is a vital part of being a big winner in turbo husng. This midstack video takes many of the core concepts learned in Parts 2 and 3 and shows how to adjust them for a shallower stack depth. Greenbast covers the area which many regular and turbo speed players suffer with, the often dreaded endgame. Developing correct ranges, knowing the math behind decisions, and adjusting vs different player types are covered. Postflop examples are given and the video concludes with calculating correct 3bet jamming ranges. This video covers what factors to consider when facing difficult postflop decisions. Cbetting, double and triple barreling, flop leading, and why flop texture matters is included. This section reviews full games from Greenbast and one of his students. Many interesting spots develop throughout this section which lead to an in depth analysis. 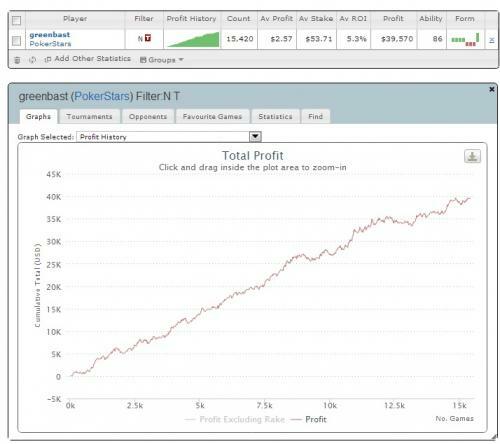 Greenbast takes to the tables on pokerstars and plays a variety of regulars and weaker opponents. A few very tricky spots some up and are explained using may of the key concepts learned throughout the video pack. I'm a $30 turbo player and I learned a lot from this pack. His barreling concepts and the turn being a "new flop" thoughts were real eye opening ideas for me. The overall setup was great. Greenbast lays out the topics that are going to be discussed in the video pack and touches on all of them thoroughly. I've already recommended it to some of my friends who are just starting out. Going into the video, I was playing a completely different style than what is taught/shown in this series. By seeing a different side of what you can do in these turbo games, it has really expanded my game and made me a better player.